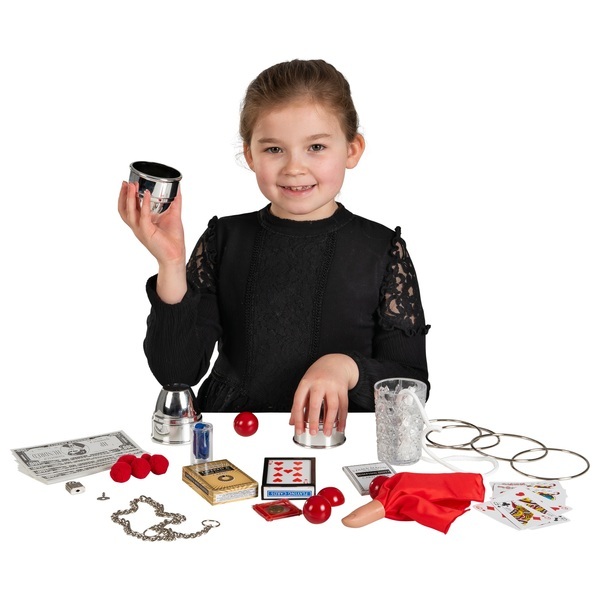 An Exclusive Magic Collection of quality magic tricks that make you perform like a professional magician. Perform the remarkable linking rings with large professional metal rings. Brilliant ball manipulations can be mastered. Turn blank paper into banknotes. Make objects 'disappear' into thin air. The extraordinary mirror glass enables you to transform objects and perform incredible productions. Escape from chains with the phenomenal Houdini chain escape. The set even includes fantastic magic cards that will enable you to perform close up card magic with the flair of a professional magician. Quality props, fully illustrated instructions and an instructional DVD. Everything you need to become a fantastic magician.